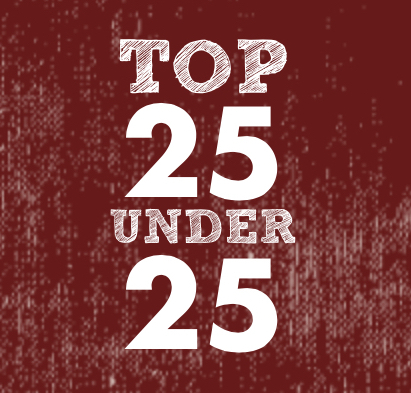 We are counting down the Top 25 players under the age of 25 – and this middle portion of the list gets into the meat and potatoes of MLB’s young elite. Today, we have a healthy portion of power arms, mixed in with a side of Boston bats – and a special appearance by the second Cubs player to appear on this list. These players have the potential to become franchise cornerstones, and all of them have ample opportunity to do so. For numbers 21-25, click here. For numbers 16-20, click here. 2014 was Mookie Betts’ year. 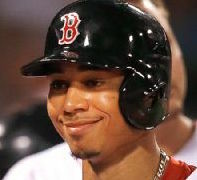 Betts, 22, hit at every level he played at last season; he demolished the Eastern League to a .355/.443/.551 degree, then hit a smoldering .335/.417/.503 in Triple-A Pawtucket. He added in 33 steals and gained experience in center and right field. This combination of minor league dominance and his newfound ability to play the outfield earned him a call-up to Boston, where he excelled after early struggles. Betts ended up hitting .291/.368/.444 in Boston, while garnering playing time in center and right field, also mixing in time at second base. While some of it can be attributed to luck, Betts displayed an exemplary bat-to-ball skillset, and has so far displayed above average walk and strikeout rates. Boston has cleared room for him to play every day in right field in 2015, when he’ll have a chance to show that his 2014 gains weren’t a fluke. Jorge Soler is a large man. 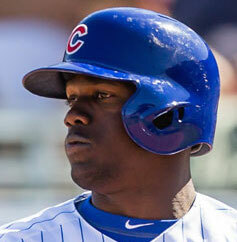 At 22 years old, Soler is 6’4”, 215, and still growing. Even at his current size, he has an enormous amount of raw power. Soler hit 15 home runs in only 200 minor league at-bats in 2014, and that’s only the tip of the iceberg. As he matures, some of his 34 combined doubles/triples will turn into home runs. But, for now, Cubs fans will have to be placated by a defensively adequate right fielder with a cannon throwing arm and crazy power potential. In his first MLB season, Soler hit .292/.330/.573 in just under 100 plate appearances; it’s very good, but it should be taken with a grain of salt. Born in La Havana, Soler is yet another in a strong line of power hitting Cubans to defect off of the island. He should be a prime candidate for NL Rookie of the Year, potentially facing competition from fellow Cub Kris Bryant (#23 on this list), among others. Soler stands to be the Cubs everyday right fielder and figures to be a big part of a potential Cubs resurgence in 2015. After a solid 2013 postseason run at third base, Xander Bogaerts shifted back to his natural position of shortstop in 2014. Bogaerts didn’t have a great year, hitting .240/.297/.362 with poor marks on defense over a full season. He did have some solid foundations to build upon, as he uncorked 26 doubles and 12 home runs. It’s easy to forget how young he is; he doesn’t even turn 23 until October. Bogaerts was the third youngest regular in the majors last year, only behind Rougned Odor and Bryce Harper. As he gains experience, he should be able to excel at the plate and in the field. Perhaps the best example of Bogaerts’ potential is his playoff run of recent vintage, where he hit .296 with a home run over three series while playing every game of the World Series at third base. Consistency and expectation should help Bogaerts. He isn’t expected to be a run producer in Boston’s lineup, and in the field, the ever-consistent Dustin Pedroia and the surprisingly efficient Pablo Sandoval shadow him. 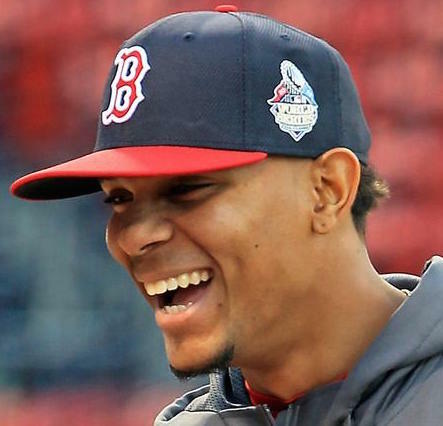 2015 should be a better year for the young Bogaerts, who still has a very bright future. Maybe it’s because of the nondescript nature of the Atlanta Braves over the last few years, but the general perception of Alex Wood’s ability is much less than reality. Despite sparkling minor league numbers and a mid-90’s left-handed fastball, Wood, 24, never made a Top 100 list of any kind. Because of his odd delivery and his lack of national exposure, Wood flies under the radar. 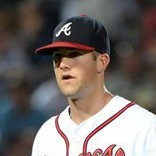 Let’s make this clear: Alex Wood is a good young pitcher; he’s well worthy of a fan’s attention. With solid control (2.6 career BB/9) and above average stuff (8.9 career K/9), Wood has whittled through his competition. In Wood’s 249.1 career innings, he holds a 2.89 ERA and a sparkling 3.07 FIP. Wood’s three-pitch repertoire consists of a fastball that sits at 90, a changeup with good movement, and a knuckle-curve that batters have hit .182 against. Wood should be a shining spot on an otherwise dull blade known as the 2015 Braves. 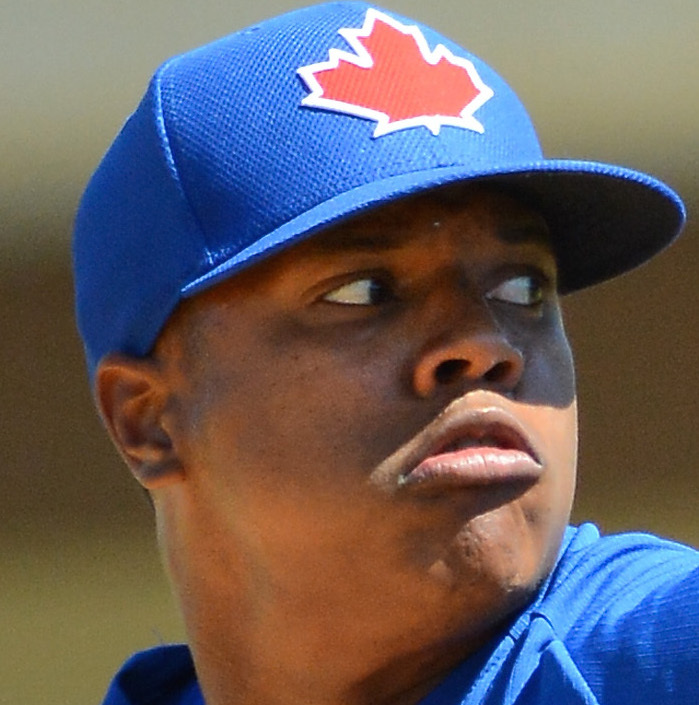 Toronto has a gas-throwing future ace in Marcus Stroman. Thought by some to be a reliever coming out of Duke, Stroman set out to bust that myth in 2014. Displaying a solid four-pitch mix, the soon-to-be 24-year-old Stroman sliced through the AL East in his premiere season, showing the pieces to be a frontliner for years to come. He posted a 3.65 ERA in his 20 starts, with an even more promising 2.84 FIP. He has exceptional control (1.9 BB/9), and good stuff. His fastball sits 94; he can also cut it, 2-seam it, and ramp it up to 96. Stroman has a developing slider and changeup; the slider, as of now, sits ahead of the change. His money pitch is the curveball. Batters hit .238 against it; the pitch has true upside. Due to a dearth of frontline starting pitching, Stroman has a chance to be the best starter in the AL East. But Mark Buehrle will probably be the Opening Day starter for Toronto, largely due to the crafty left-hander’s still-solid skillset (and tons of experience). Expect that spot to belong to Stroman for many years afterward.